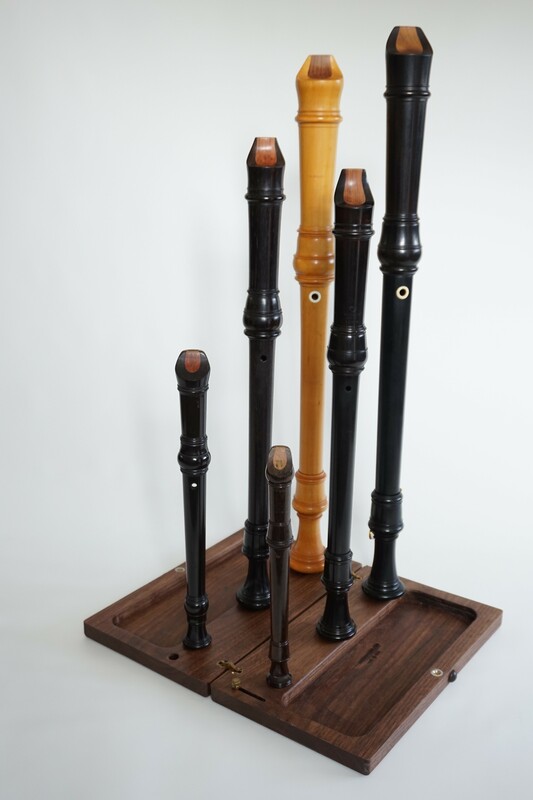 We offer hand-made wooden instrument stands. Suitable for holding most garklein, sopranino/piccolo, soprano, alto, tenor and bass woodwind instruments. 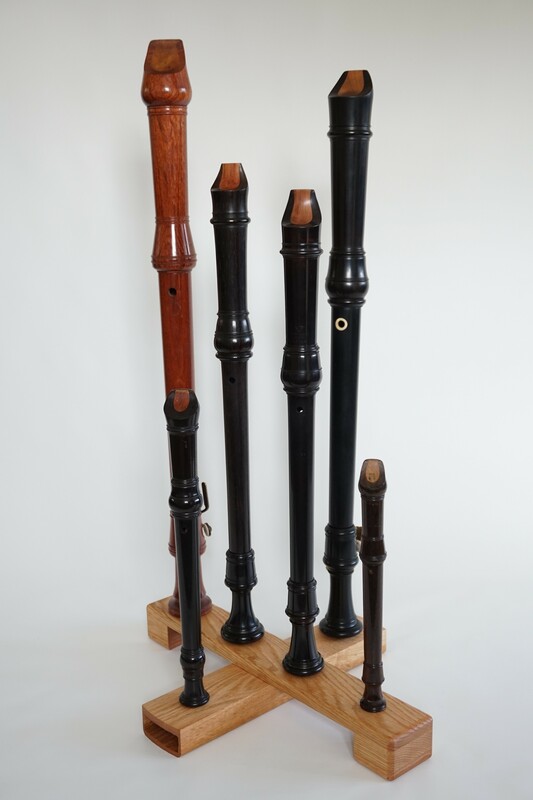 They are perfect for holding recorders, flutes, baroque flutes, Native American flutes, whistles, pipes and other wind instruments. We take great pride in the workmanship that goes into each instrument stand. We hand select the finest wood and use only quality parts and material to bring to you what we believe are truly unique stands in the market. Each stand is hand crafted and assembled to ensure a quality product. They are sanded to a fine smooth finish, and then hand-rubbed with a linseed and pine resin oil that hardens, protects and brings out the wood’s unique natural beauty and pattern. 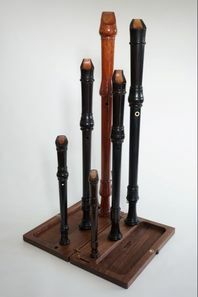 Our stands make a wonderful compliment to your instruments. Standard, Large & Extra Lg. 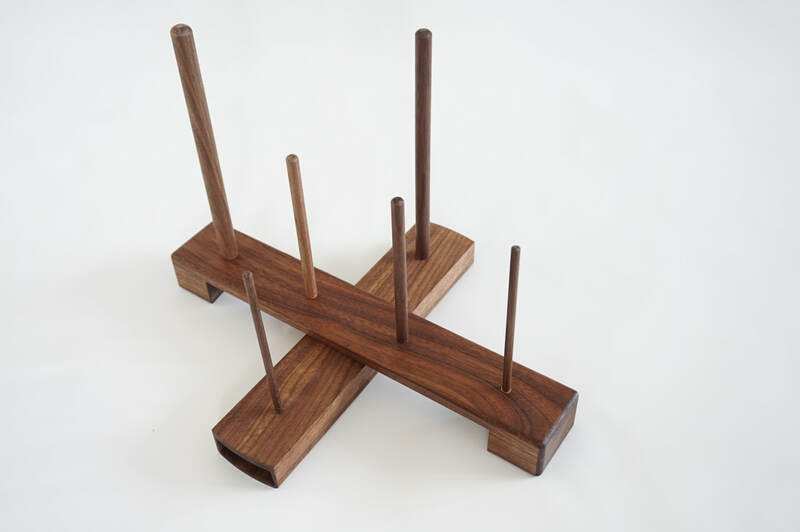 Other wood types, stand sizes, configurations and unique artistic inlays are available.